I’m excited to welcome the Wiki Education Foundation’s first research intern. Kevin Schiroo’s internship will focus on data science research that will help us understand the programmatic impact we have on Wikipedia content. Kevin’s project involves investigating what broad categories content development is happening in on Wikipedia, and investigating which categories our student editors are having the biggest impact in. This data will be particularly helpful as we kick off the Year of Science this year. Kevin is pursuing his Ph.D. in Computer Science at the University of Minnesota. 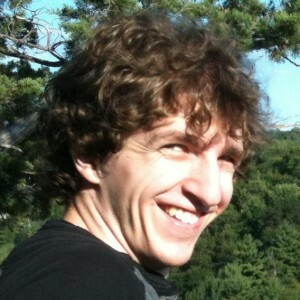 Since May, he’s been a graduate research assistant at the University of Minnesota’s GroupLens lab, investigating the relationship between Wikipedia editors’ workflow and time contributions, specifically focusing on how these contributions lead to varying improvements in article quality based on different characteristics of articles. Kevin has a B.A. from Coe College and has previously worked for IBM and interned for the Department of Defense. Outside of work, Kevin enjoys coding on several side projects as well as woodworking and larger construction projects. He is currently in the process of building a wooden chest starting from a fallen tree as well as finishing up a garage that he built this summer. The furthest he has ever been in over his head in his projects is 15 feet below the street pavement trying to fix a sewer line. Kevin will be working with Wiki Ed part time through the spring term, then full time during the summer. Welcome, Kevin! Kevin photo: “Another Article” by Another Article – Own work. Licensed under CC BY-SA 4.0 via Wikimedia Commons. Data photo: “Inter-activity time.stack overflow posts” by EpochFail – Own work. Licensed under CC BY-SA 4.0 via Wikimedia Commons.